France is the largest country in Western Europe, and one of the world’s top five economies. It has land borders with Belgium, Germany, Italy, Switzerland, Spain, Andorra, and Luxembourg, and coastlines on three seas – the Atlantic, the Mediterranean, and the North Sea. Paris is the capital city of France with other major cities being Marseille in the south, Lyon, Lille and Toulouse. The range and variety of its landscapes have made it one of the top tourist destinations of Europe, and whether visitors are seeking sun, sand and sea in the south, trekking in the Pyrenees, wine-tasting in the chateaux country of the Loire, or window-shopping down the Champs Elysees in Paris, France offers everything that you could wish for in a vacation or longer stay. If you are looking for a relaxing beach vacation, with sun and endless golden beaches, then the French Riviera or Cote d’Azure should be your destination. With major airports at Nice and Marseille, access is easy and there are numerous resorts to explore along the coast, ranging from the still-fashionable St Tropez with its lively night scene and clubs to the little fishing village of Cassis. France is a treasure trove of historic castles and manor houses, and to view some of the most spectacular of the medieval and 18th century chateaux, as well as enjoying the beauty of the surrounding countryside, the Loire region is the area of choice. Walkers can head to the Pyrenees in the summer, with some of Europe’s most spectacular but best marked long-distance routes, and a choice of less strenuous walking in the valleys. Paris is one of the continent’s greatest cities (the French would argue that it is the greatest), and if you are travelling further south, a day or so spent in the city to visit the Louvre, view the city from the top of the Eiffel Tower, and savour the peace of Notre Dame Cathedral, will more than repay the diversion. Brittany is sometimes called the French Cornwall, and with its dramatic cliffs, and wild countryside, it does resemble the North Cornish coast. And just across the Channel, Normandy offers less dramatic countryside, but has won many visitors’ hearts with its pastoral peace and old timbered farmhouses. Driving in France couldn’t be easier, either taking the Eurotunnel shuttle, or arranging car rental when you arrive at your destination. 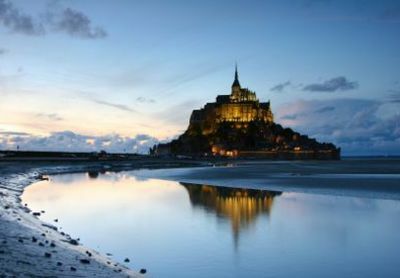 Research the best deals and most convenient collection points for car rental in France right here with GoCarRental.com. Make sure that you know what the rules and regulations are for driving in France and the safety kit that you need to carry (your hire car will be ready equipped with all that you need), and don’t forget that you will be driving on the right when you cross the Channel! Although there are tolls on the major motorways, they are often the quickest and most convenient way to get to your destination. Major routes are the E15 to Paris and south of Paris to Provence, and the E9 to Toulouse and the Pyrenees.